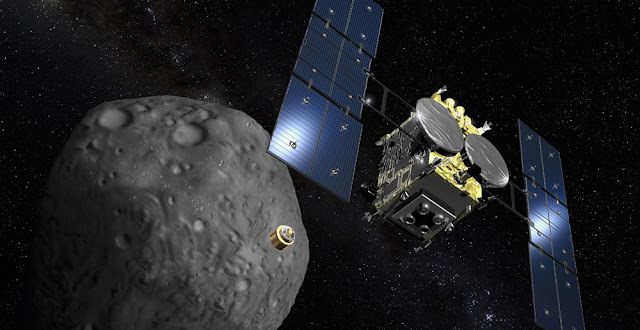 A Japanese space probe successfully entered "target orbit" and is on its way to rendezvousing with a far away asteroid, in a quest to study the origin of the solar system, authorities said Monday. Earlier this month, the Hayabusa 2 spacecraft passed by Earth to harness the planet's gravitational pull in a bid to switch its orbital path to continue toward tiny Ryugu asteroid. "The Hayabusa 2... entered the target orbit to travel to the asteroid," Japan Aerospace Exploration Agency (JAXA) said in a statement. 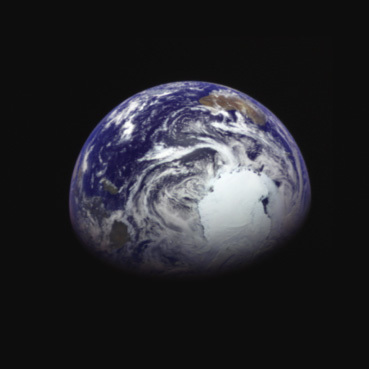 Hayabusa 2 performed the Earth swing-by on the night of December 3, 2015 (Japan Standard Time). The spacecraft flew closest to the Earth at 7:08 p.m. (JST) and passed over the Pacific Ocean near the Hawaii islands at an altitude of about 3,090 km. With the swing-by, the explorer’s orbit turned by about 80 degrees and its speed increased by about 1.6 km per second to about 31.9 km per second (against the sun) thus the orbit achieved the target numbers. According to the operation supported by the NASA Deep Space Network stations and European Space Agency deep space ground station, the probe is in good health. "I would like to express my deep gratitude to all pertinent parties and people and those who are supporting our operation. All the Hayabusa2 project team members have been working together and will continue our challenging voyage. The Hayabusa2 gained orbit energy through the swing-by to leave the Earth. The target is the asteroid Ryugu. See you later, people on Earth!" said Project Manager Yuichi Tsuda. On Dec. 14, 2015, the Hayabusa 2 is flying at: about 4.15 million km from the Earth, and about 144.85 million km from the sun. Its cruising speed is 32.31 km per second (against the sun). The spacecraft is increasing its speed under the influence of the sun’s gravity after the swing-by. Hayabusa 2 was launched a year ago aboard Japan's main H-IIA rocket from Tanegashima Space Center for its six-year mission to bring back mineral samples from the asteroid. It is expected to reach Ryugu, named after a mythical castle in a Japanese folk tale, in mid-2018 and spend around 18 months in the area. It will also drop rover robots and a "landing package" that includes equipment for surface observation. If all goes well, soil samples will be returned to Earth in late 2020.